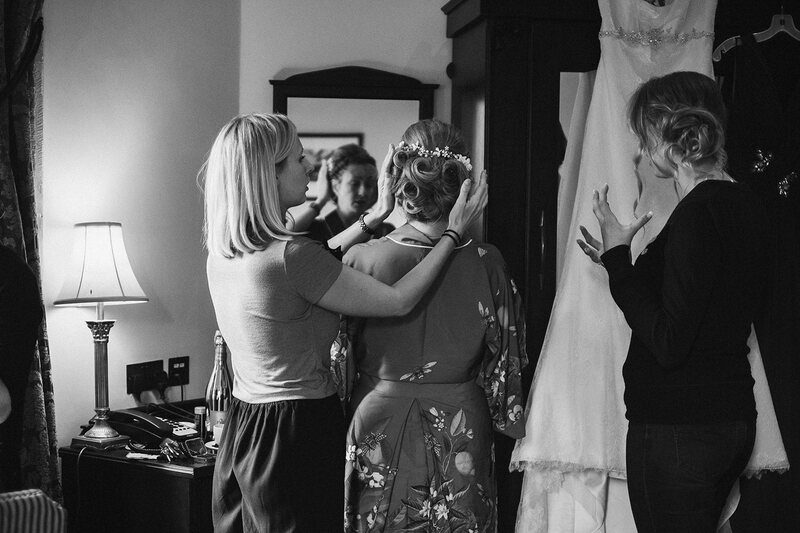 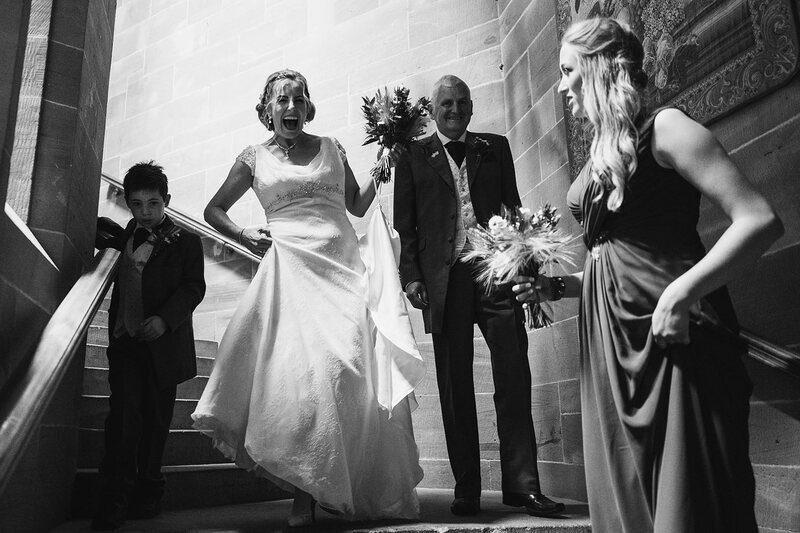 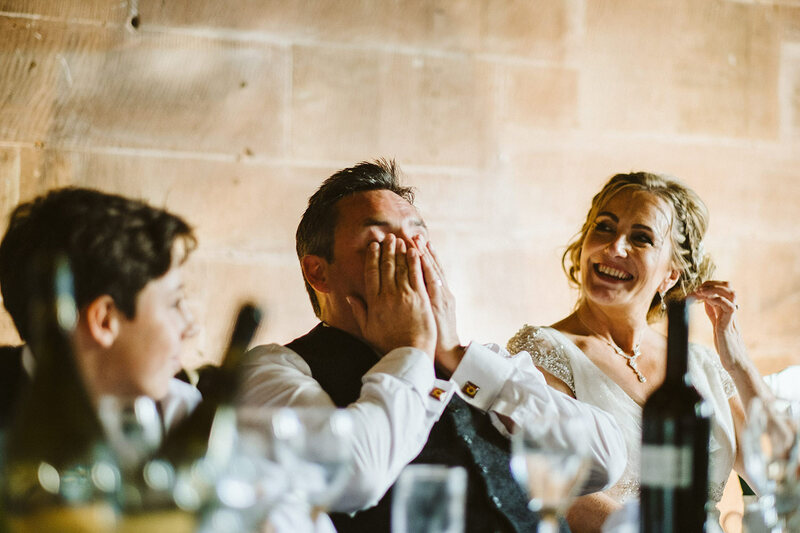 Julie and Paul came to us in a panic with just five months to go until their wedding and not much organised apart from the venue. 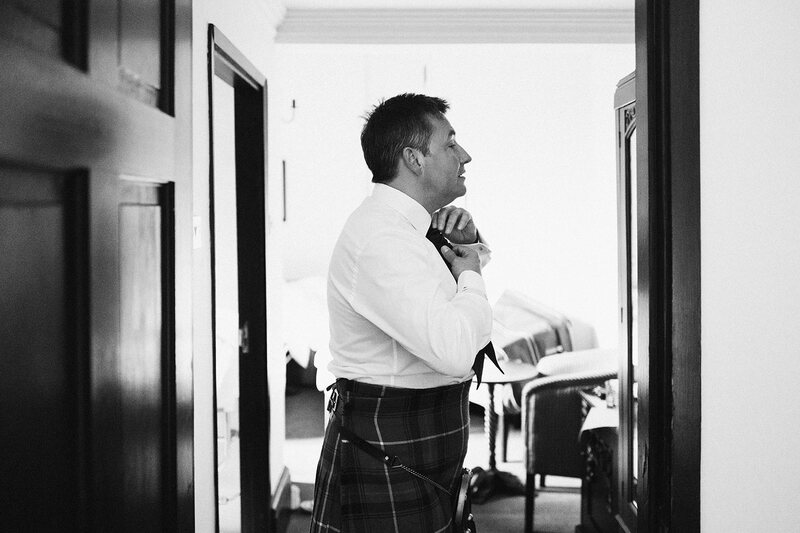 So we set to cramming twelve months of planning in to less than half that time. 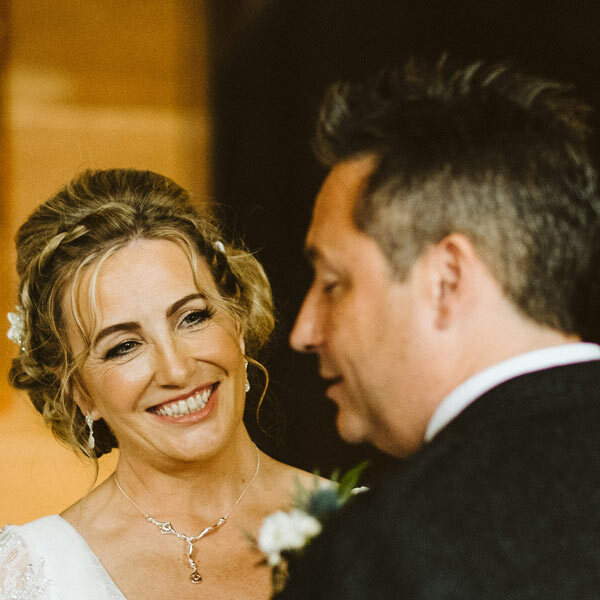 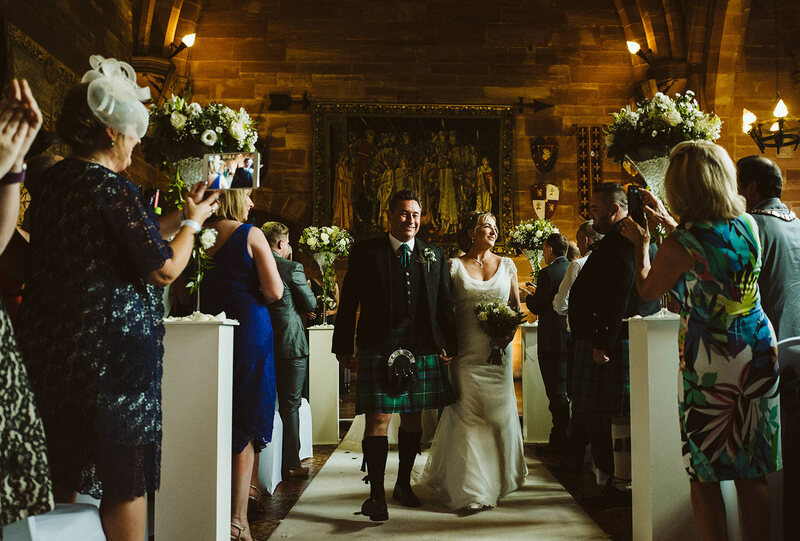 Working closely with them we created a perfect Scottish themed wedding with a colour palette of lavender, white and dark green inspired by Paul’s traditional family kilt. 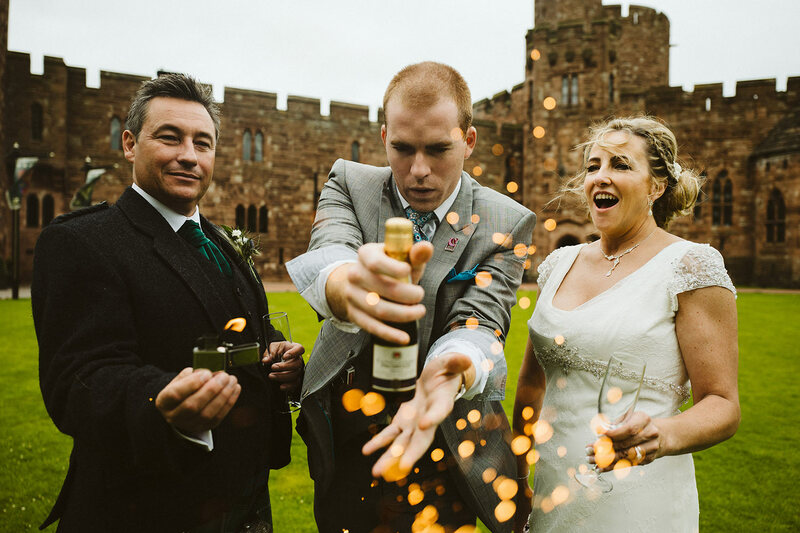 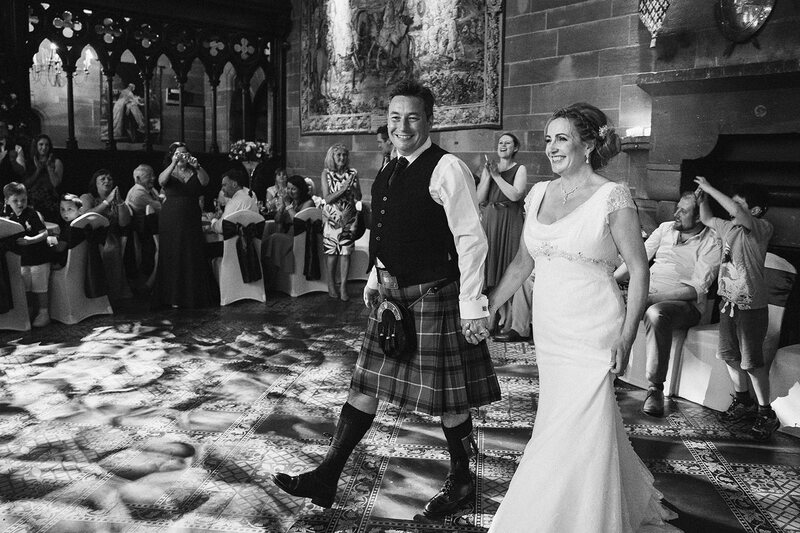 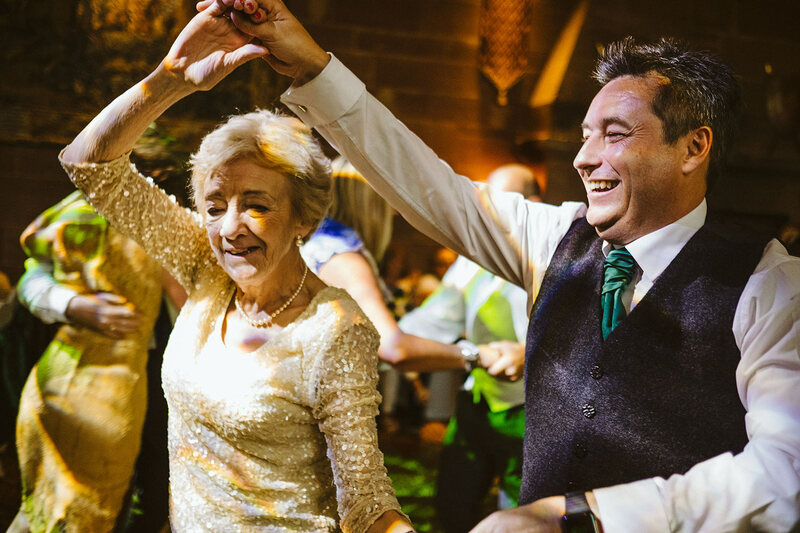 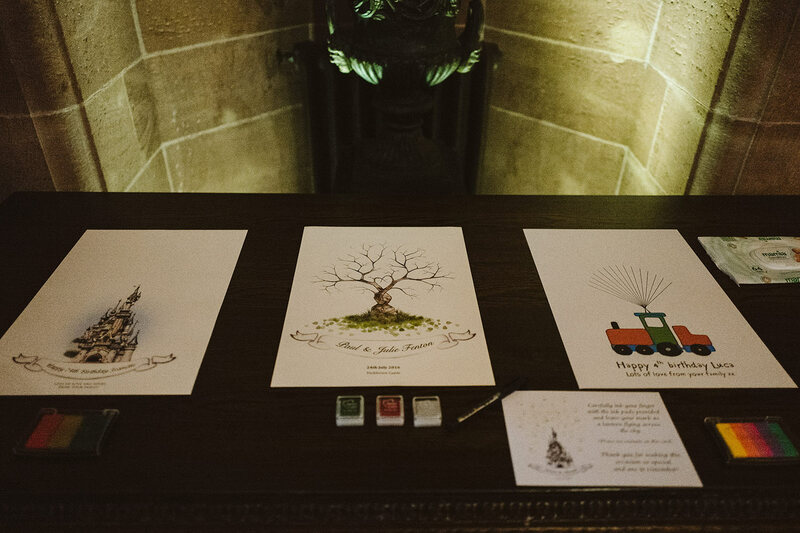 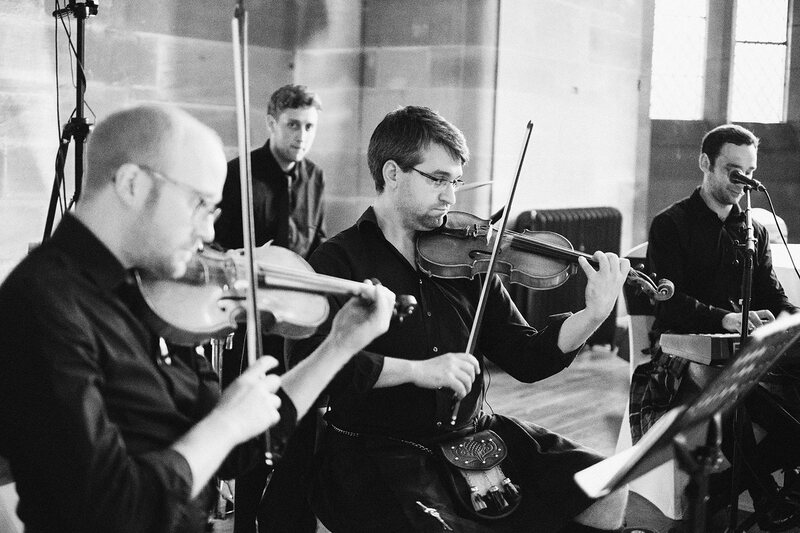 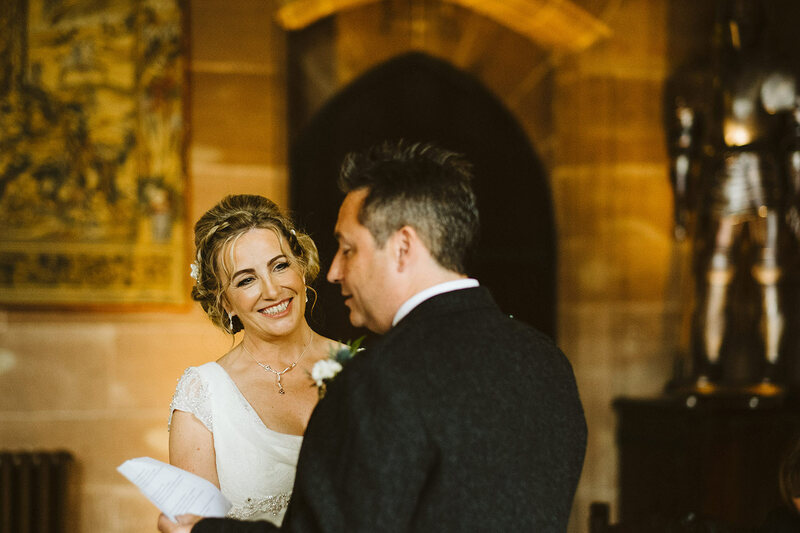 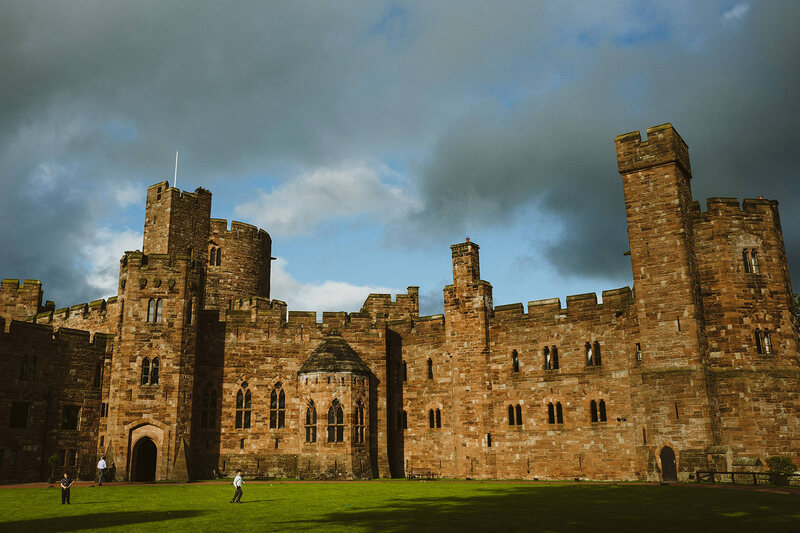 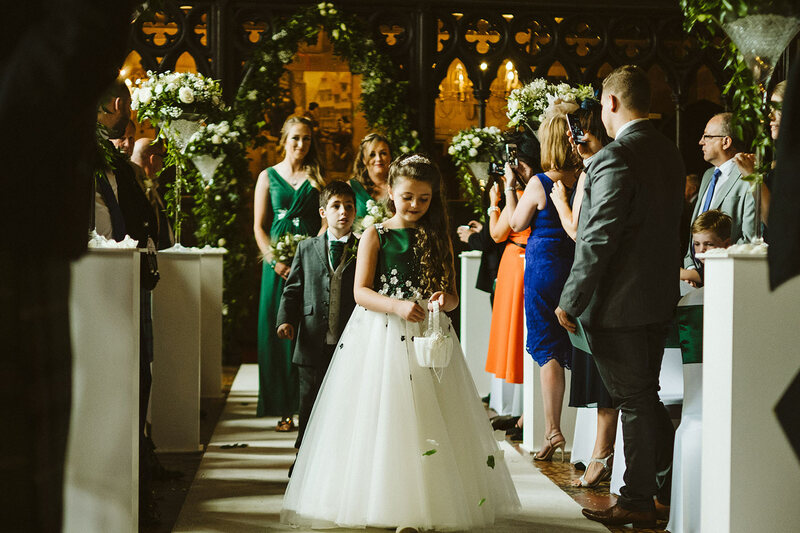 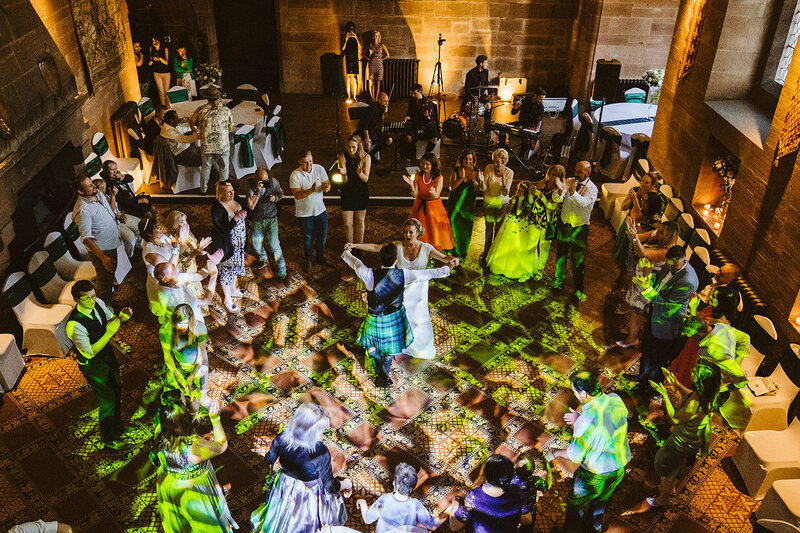 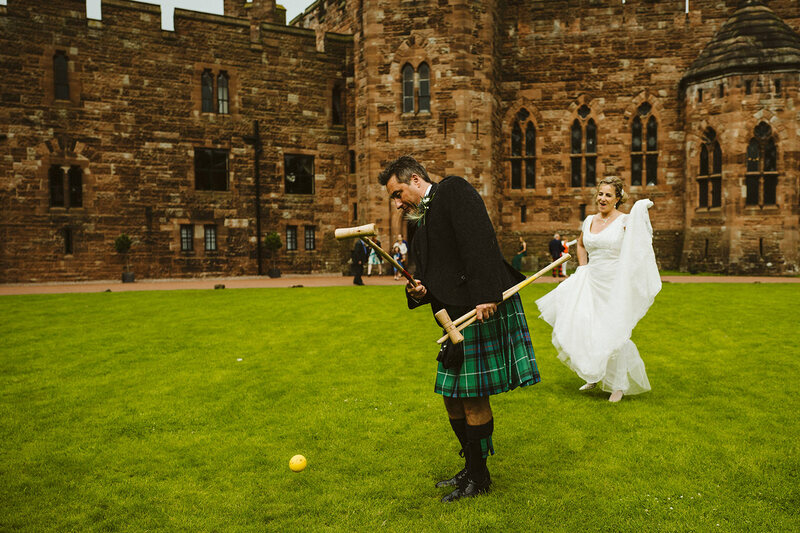 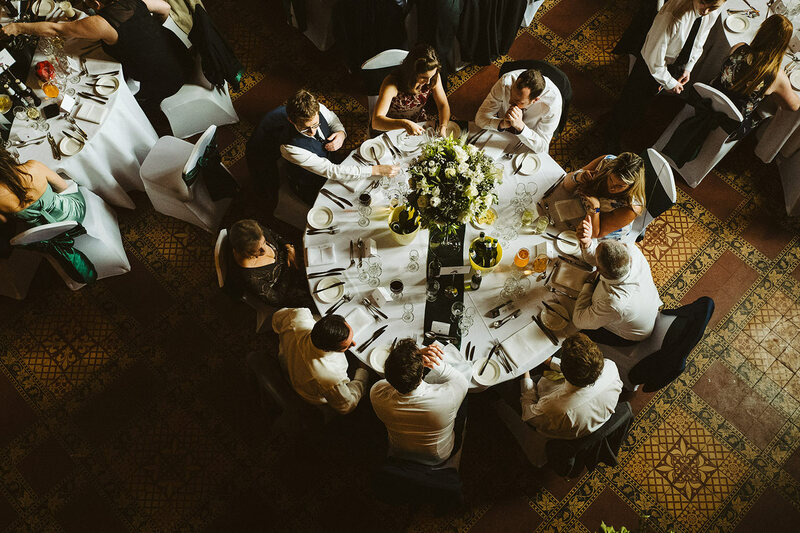 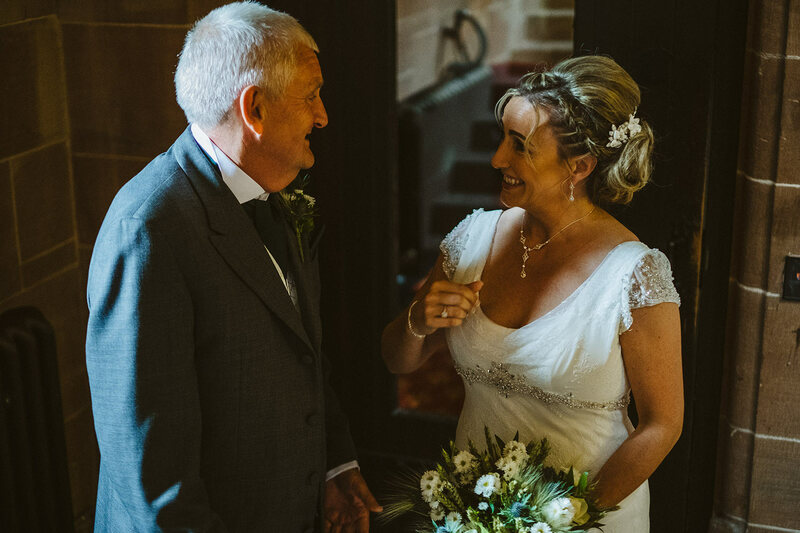 From the thistle themed stationery to the opulent castle surroundings, this wedding brought Scotland to the heart of Cheshire. 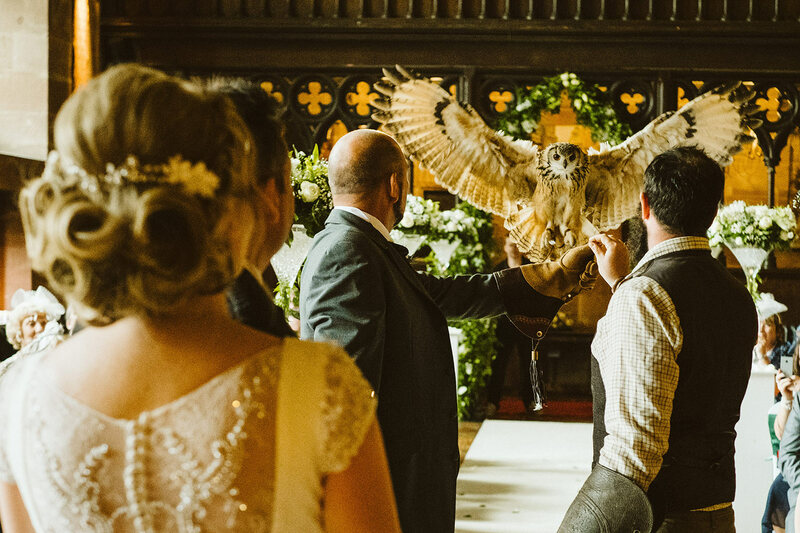 The ceremony was beautifully styled, showcasing the Great Hall at its absolute finest. 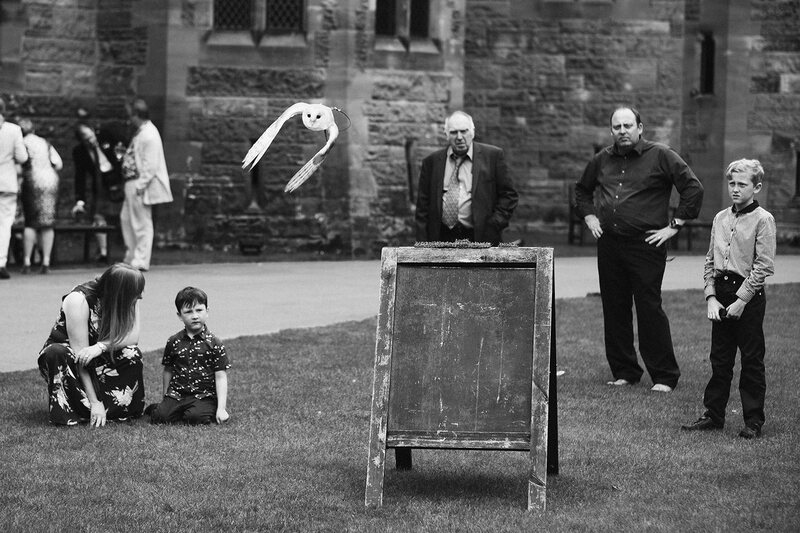 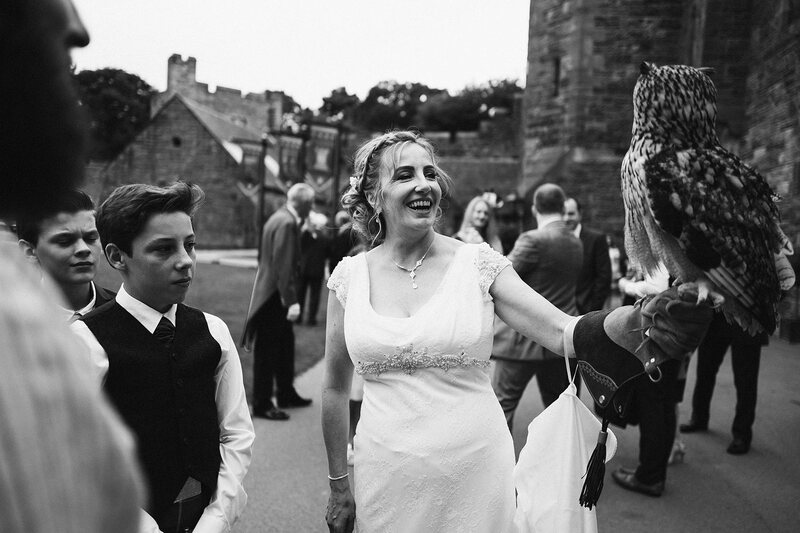 The castle’s resident owl did an amazing job delivering the rings (well on the second attempt, anyway!). 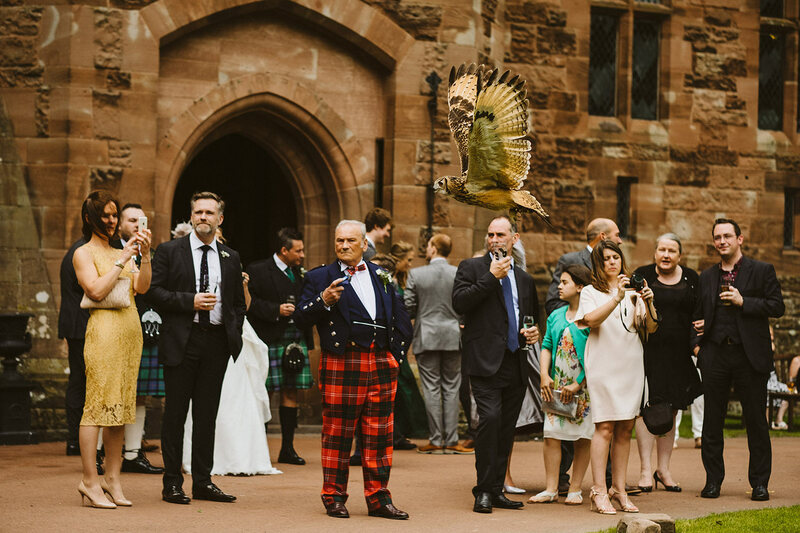 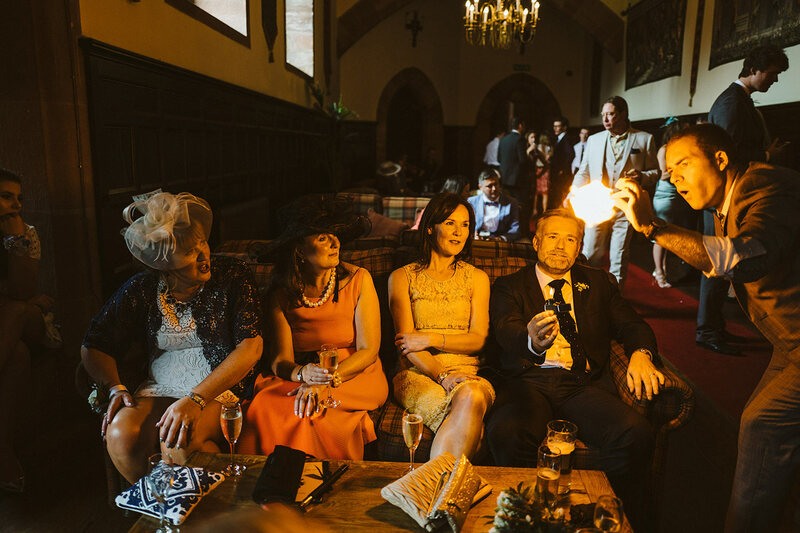 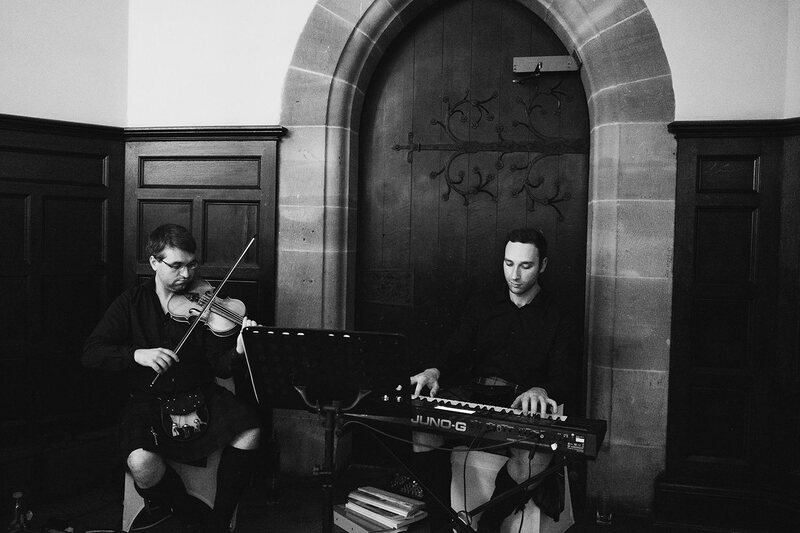 During the drinks reception guests were wowed by our close up magician and a falconry display whilst we transformed the Great Hall ready for the Scottish themed gastronomic delight. 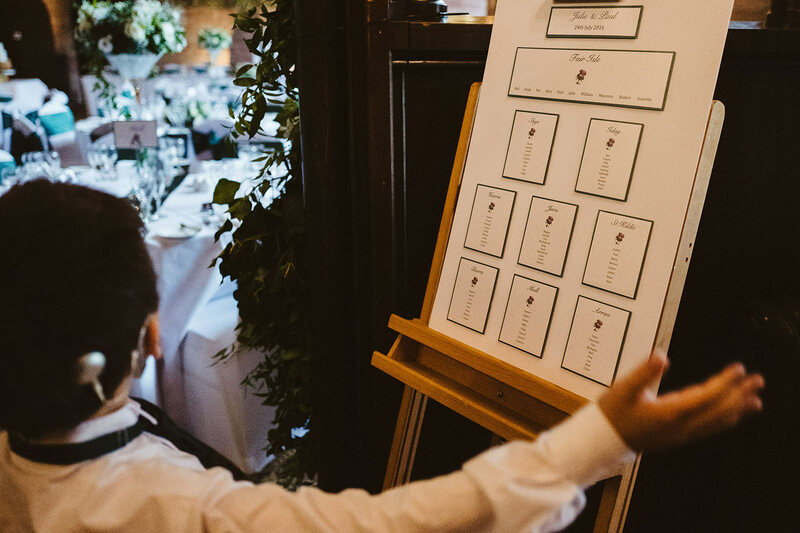 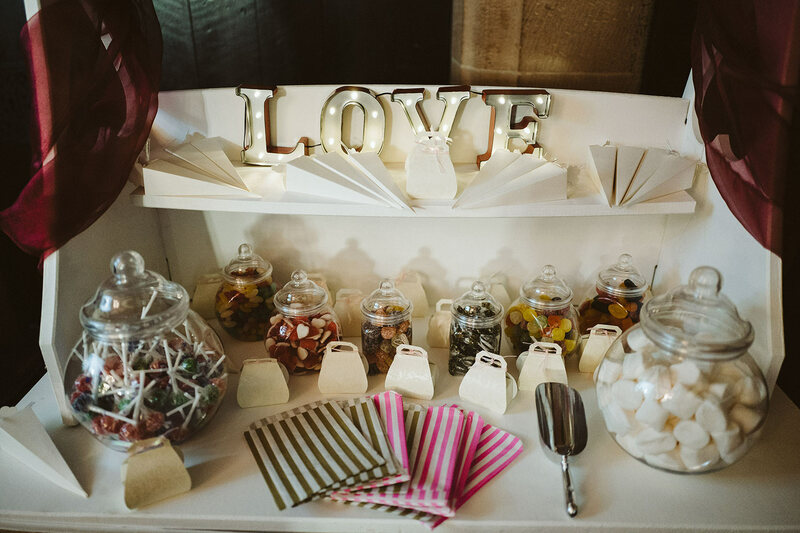 With a photobooth, fingerprint guest book, children’s entertainment and Ceilidh to follow, guests couldn’t fail to be entertained. 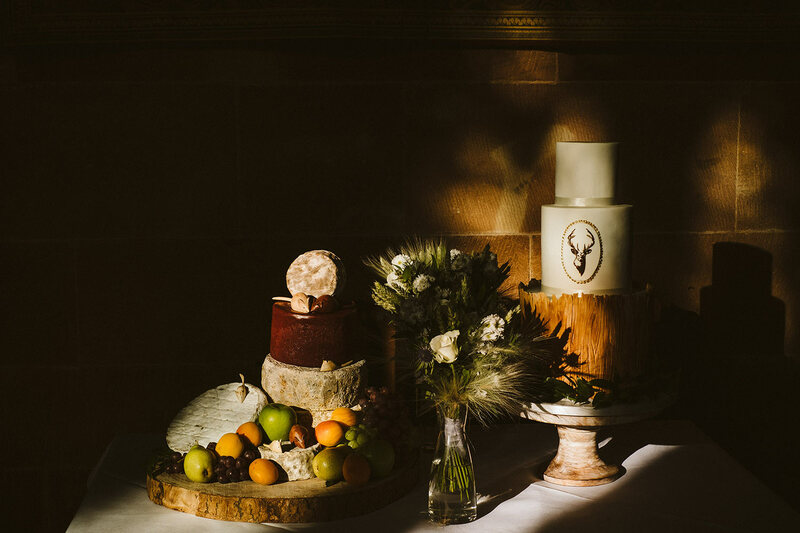 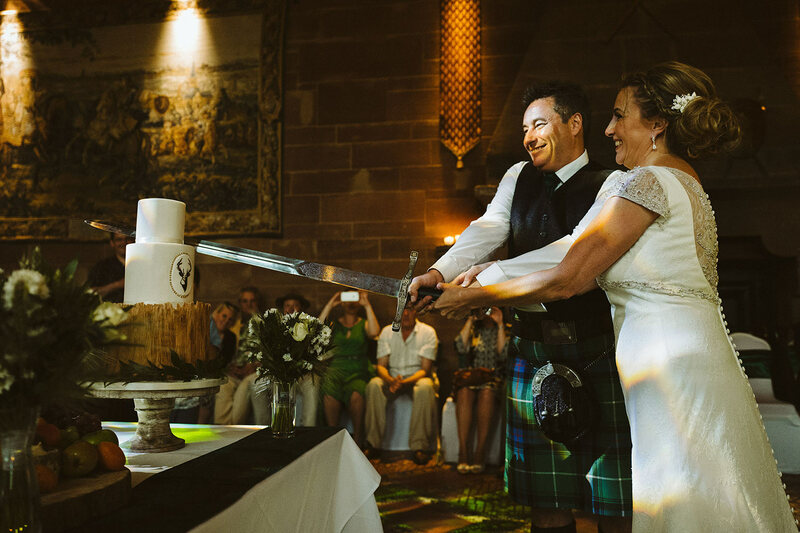 The Great Hall shone green and white as the couple literally hacked at their fabulous cake with a ceremonial sword which made for good photos! 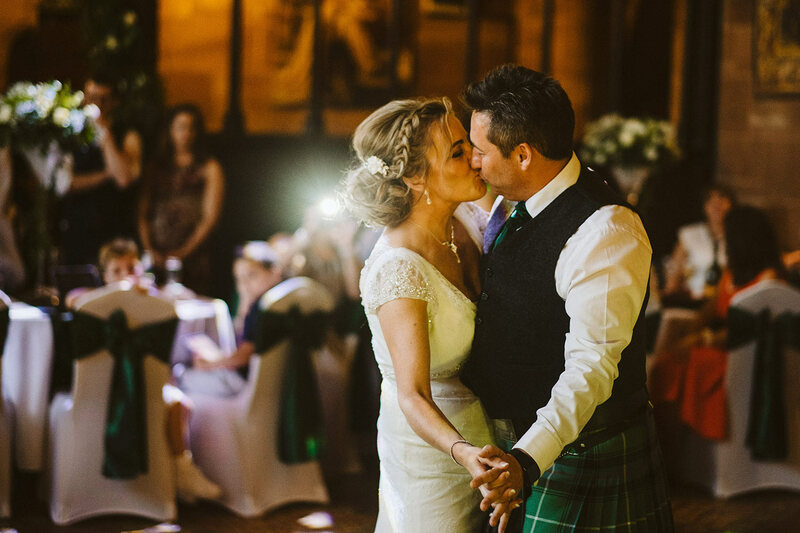 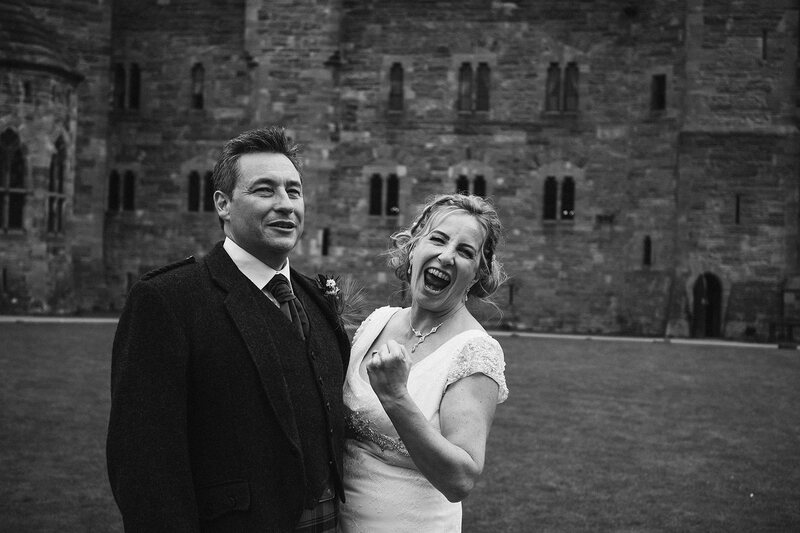 All in all Julie and Paul’s wedding was a true ode to their Scottish heritage and we very much enjoyed bringing their dream day to life. 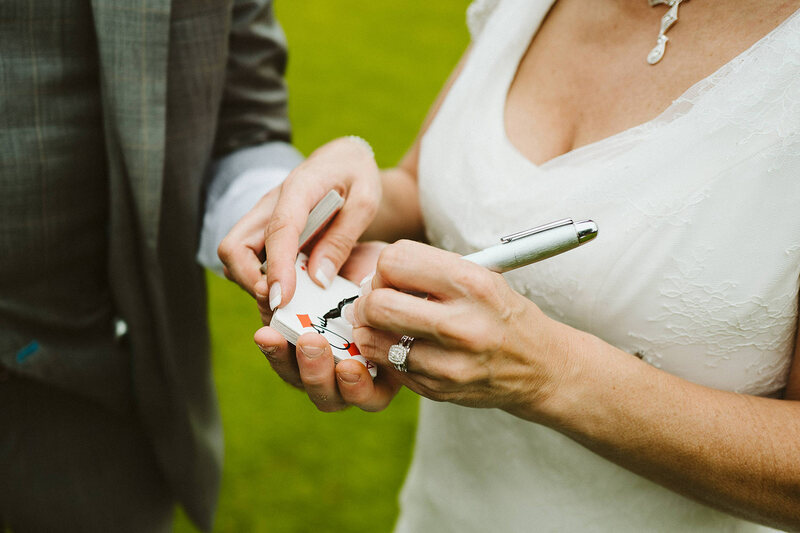 What can we say except thank you for giving us the most perfect wedding possible.